That may change with the launch this month of a plan to address climate change that may just be the rallying call for which the world has been waiting. The Global Apollo Programme, dreamed up by a handful of British grandees including former chief government scientific adviser Sir David King, aims to make renewable energy cheaper than carbon fuels within ten years by persuading governments to invest 0.02 per cent of GDP or £15bn a year in research and development. While there are lots of stats and science, the real breakthrough lies in its symbolism. The title deliberately echoes President Kennedy’s promise in 1962 to put a man on the moon within ten years. 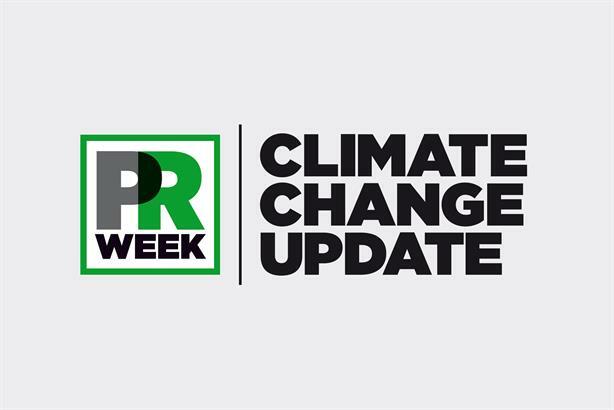 "It’s about having a very clear vision that people and governments can get behind," says Samantha Dawe, director of Madano, the PR agency that organised the launch at the Royal Society in London. While she says the comms plan is not yet "fully evolved", it is a simple idea that barged its way on to the news agenda in every continent. Sometimes what people aren’t talking about can be as revealing as what they are talking about. You might say the antithesis of climate change isn’t climate change denial; it is economic growth. As Shell CEO Ben van Beurden pointed out recently, a sudden end to fossil fuel use isn’t possible because the impact on growth could destroy the world economy. It’s an inconvenient truth for those worried about the environment, so we thought we’d look at what is being said on social media about economic growth and carbon emissions. According to Talkwalker, not much. There is very little conversation linking climate change with negative economic growth. And no engagement at all following van Beurden’s comments that halting carbon extraction cannot be done on a dime. If anything, the opposite sentiment is being expressed – that mitigating climate change may actually help foster economic growth. In general, there is consistent and significant interest in climate change online,but in terms of specifics, such as linking climate change to economic growth, it is too complicated to engender social media analysis.